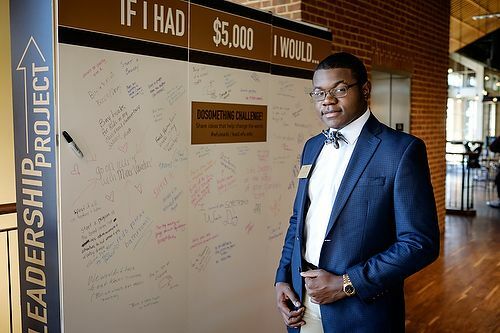 Before his sophomore year, Gilyard, a Raleigh native, decided to purchase some bitcoin for personal research. As a double major in mathematical economics and computer science, Gilyard found Bitcoin was a perfect combination of his two favorite areas of study. Gilyard ramped up his Bitcoin studies when he traveled to Austria for the spring 2014 semester with Professor Tom Phillips (’74, MA ’78, P ’06), director of the Wake Forest Scholars program. “I challenged him to go out into Vienna and figure out how he could spend bitcoin and find places in which it could be actually used as currency,” Phillips recalls. Gilyard accepted Phillips’ challenge and began exploring the tech side of Vienna. He discovered what he calls that “unique community of people that use bitcoin” at a hacker space called Metalab. He attended monthly meetings at Metalab, where he and others with a passion for technology discussed the changing nature of bitcoin. Bitcoin has seen fluctuations based on supply and demand since its 2009 founding, from a high of $1,150 for the price of a bitcoin versus the U.S. dollar to below $200. 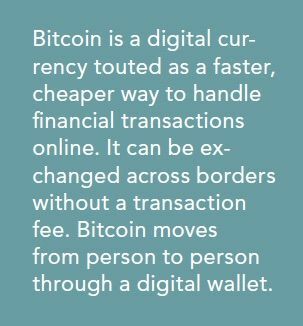 Gilyard continued to experiment with bitcoin’s utility when paying for a round of drinks in the Czech Republic. Gilyard expects to start working as a trader at an investment bank after graduation.